Shop here for Simms Stone Cold short sleeve fly fishing shirts and guide gear with low cost shipping. 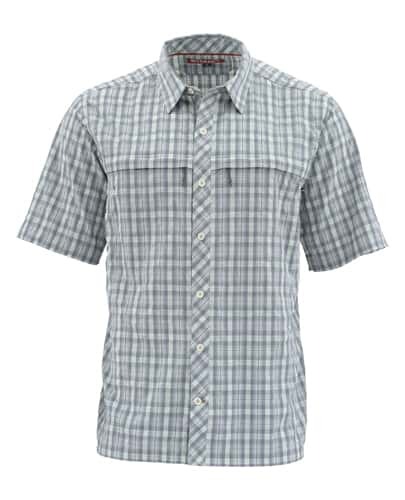 Simms Stone Cold short sleeve shirt with Cool Control tech beats heat waves to submission by absorbing and dissipating unwanted warmth where and when it counts. Cast all day, unhindered thanks to the qucik wicking and drying technology. Extend your sessions with two fly-box compatible, zip-secure chest pockets. Cool Control technology absorbs and dissipates heat to provide a cooler, more comfortable garment in warm weather fishing environments.